Driving requires decision making skills and good reflexes. While this isn’t much of a problem while we’re young, it could be as we get older. This is especially true if we develop memory problems like Alzheimer’s disease. Alzheimer’s causes short-term memory problems that even familiar surroundings may suddenly seem strange. This behavior is dangerous for drivers who need to remember and pay attention to the road. 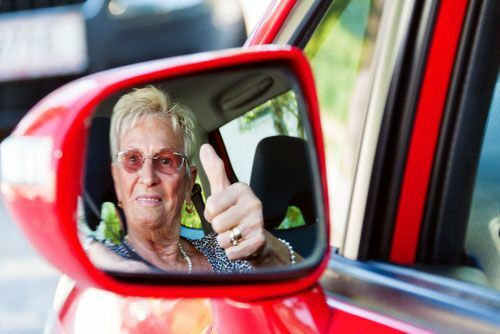 According to Dr. Gizell Larson, a neurologist with the Neuroscience Group in Neenah, Wisconsin, stated the traffic accident rate of people ages 85 and above, many of whom may have some form of dementia, increases 38-fold from those drivers between ages 80-85. This age group, 80-85, has a seven times higher accident rate than people between the ages of 40-45. This does raise some concern as to whether elderly people should keep driving after they start to develop memory problems. Related: Should Older People Stop Driving? If you start to see these signs in your loved one, then it’s time to consult a health professional on the next steps you should take. Discussing everything with your loved one may be hard at first because you want to be respectful, but it will help keep them safe. It is very important to show your love and support, but you need to stay firm and be patient. Talk to everyone in the household and see how they feel about the situation. You may have to make transportation alternatives with your elderly family member, but it’s still important that they understand why it may not be safe for them to drive. Related: Are Elderly Drivers As Dangerous As We Think They Are? As a Kentucky Accident Attorney, I understand how difficult the transition is from being a driver to becoming a full-time passenger. Please feel free to get in touch with us here in the law office in case you need assistance reaching out to your loved ones with Alzheimer’s. It’s not easy, and they need to know they’re not alone.